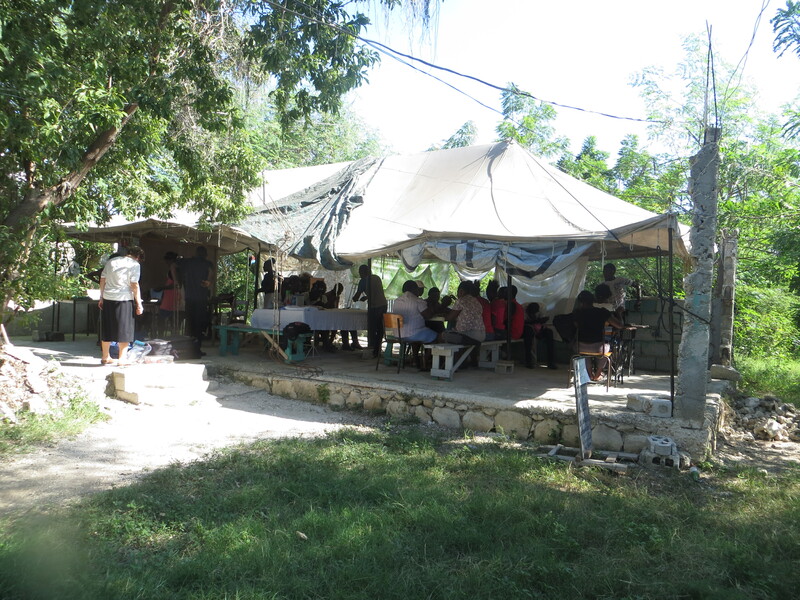 The following is a message I recently received from Pastor Cadet at the sewing school in Buedet, Haiti. He is very thankful for your contributions which will make it possible for construction to begin on their school building. This photo was taken prior to Hurricane Matthew. During the Hurricane the tarps were torn up pretty badly. The family of Cadet and the students of the Vocational Program greet you all in Jesus name our savior. We are happy and we enjoy this time to thank you for all you have done to find this money in order to start the construction building. We let you know that we make some changes in the construction plan to assure its safety because of the possibility to have hurricane and earthquake. So we decide to make a more strong foundation for the building. We already start to buy some building materials. At the end of the week we will start the building construction. I will keep you informed of the progress of the work on the construction building.